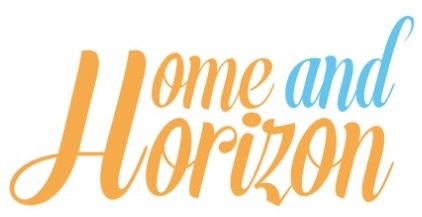 It’s September and the kids are back at school and routines resume. I’ll miss the mini lie-ins and not rushing around in the morning, but I won’t miss the constant bickering and trying to find two minutes to myself – anyone else? It’s funny how sometimes you can come across two things that are totally unrelated to one another, but put them together and the magic happens. What am I talking about? Buckets & cacti! Read on, I'll explain. 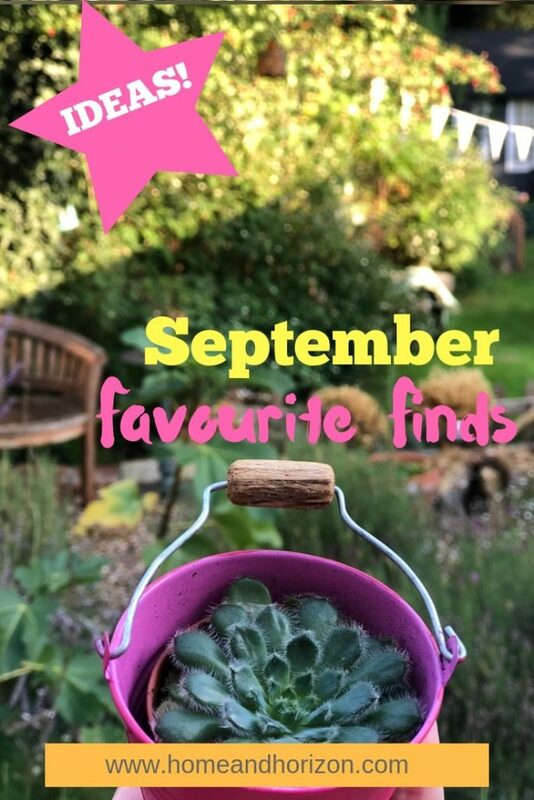 I popped into Wilko recently and spotted some mini succulents for £1.50 a pop. They had a nice variety – with some colourful ones that would have looked gorgeous together in a bundle. And as I’m standing there admiring them and wondering what I’d do with them and where I’d put them, I remembered that about a year ago I bought some dinky pastel-coloured buckets from The Range. But since buying them, they’ve been sat in my display cupboard looking very pretty, but not being much use at all. You can see where I’m going here. 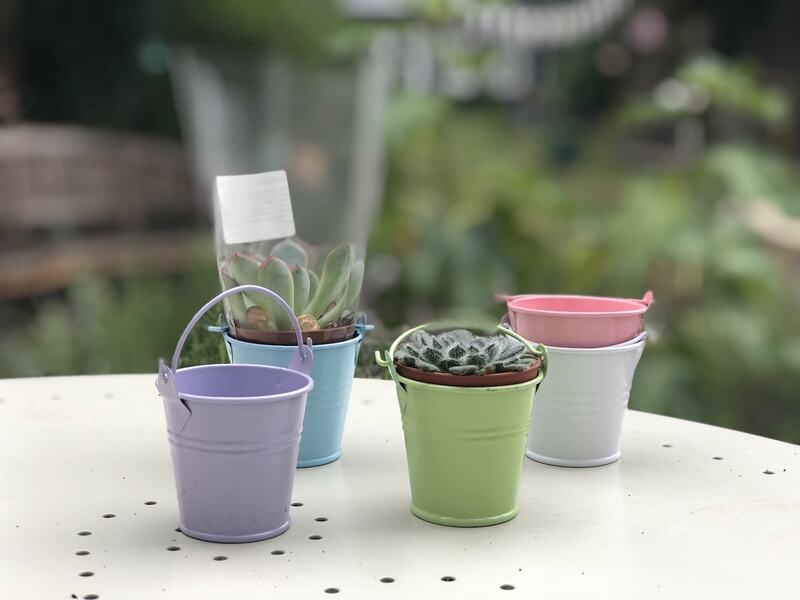 My mini buckets would make the perfect holder for the mini succulents….but would they fit? Best of all, if you’d like to recreate the look – The Range is still selling its mini craft buckets – two for just £1 and lots of different colours! And you can also purchase the mini succulents online from Wilko – or just pick them up in store. 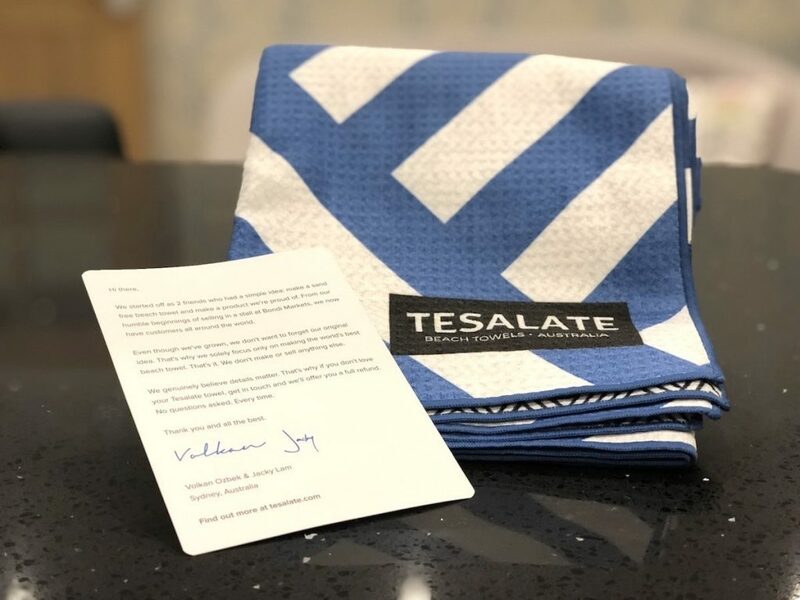 On the subject of material, a company called Tesalate got in touch recently to see if I wanted to check out one of its innovative sand-repellant beach towels. Couldn’t resist! I mean, I know that the summer holidays are over and that I probably wouldn’t be hitting the beach anytime soon, but another one of its USPs is that it’s made from AbsorbLite™ fabric, which means that it can absorb at least 1 (33 oz.) litre of water and also dries rapidly. With my teen going swimming every week, this was a great way of testing it out. It does what it says on the packet in terms of water absorption and drying. It’s very compact. In fact it comes in a little pouch that makes it super easy to transport. Thinking ahead to a holiday, the fact that it’s compact and light means that it will be one of our ‘go-to’ items to pack in the suitcase – and I’m especially looking forward to testing out its sand-repellantness. Yes, I did just make up that word. And because of its versatility, the towel can also be used for a variety of other activities including yoga, picnics and, as Girlwrighter demonstrated to me, as a ‘secret den’ cover. I love my collection of coffee table books, which I enjoy flicking through when VIP heads off to make a cuppa for us in the TV ad break. 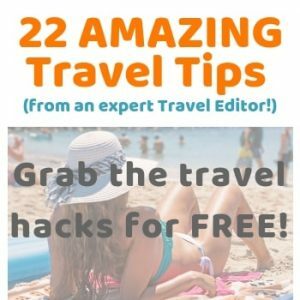 So I was really pleased that Rough Guides gave me the opportunity to choose a new book for my collection – and I opted for ‘You Are Here’, a travel photobook. One of the reasons that I chose the book is because of its amazing pictures. I’ve enjoyed sitting down to look at them with the kids and discuss the images and the countries they were taken in. 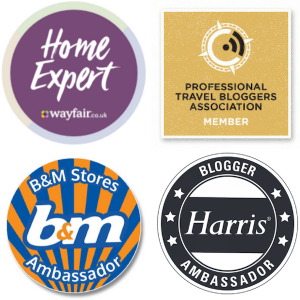 (If you’re familiar with this blog then you’ll know that as a family we love travelling and, where possible, tend to opt for educational family adventures and activities). I really want to inspire the kids to discover the world – I have no regrets about the 15 months I spent backpacking after university and I’d love for my kids to see the ‘big wide world’ on their own one day. Raising them to be aware of different cultures, traditions and lifestyles should only whet their appetite to do this. 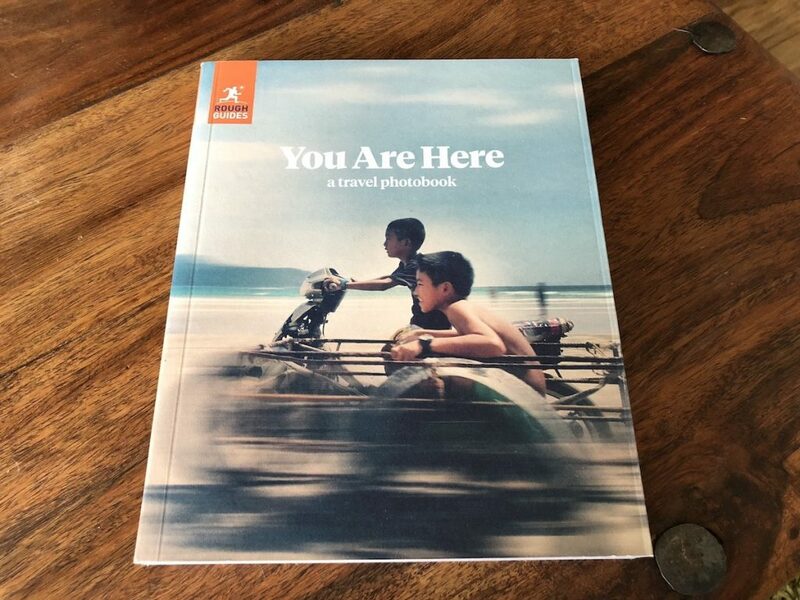 ‘You Are Here’ retails at £7.62 (RRP £12.99) and features more than 300 photos taken by real travellers – from Rainbow Mountain in Peru to the sunset in Goa and Mongolian hunters. Finally, I’m even more pleased to announce that the publishers are giving me 3 copies to give away for September! 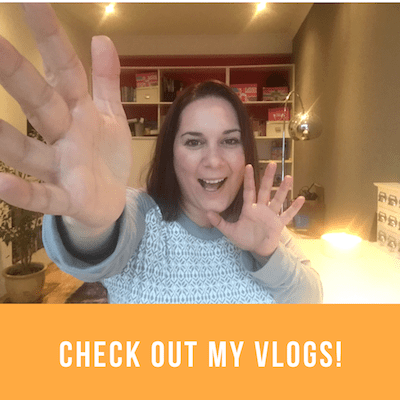 As part of the new-look me for the next 12 months (I’ll explain what my goals are in another post! ), I’ve started to take more of an interest in looking after myself. And for me that includes three things (1) Skincare & beauty regime (2) Exercise & diet and (3) Clothes & accessories. So when I had the opportunity to try a pair of shoes from Koi Footwear (and having not treated myself to some new footwear in about two years), I thought ‘Why not?’. 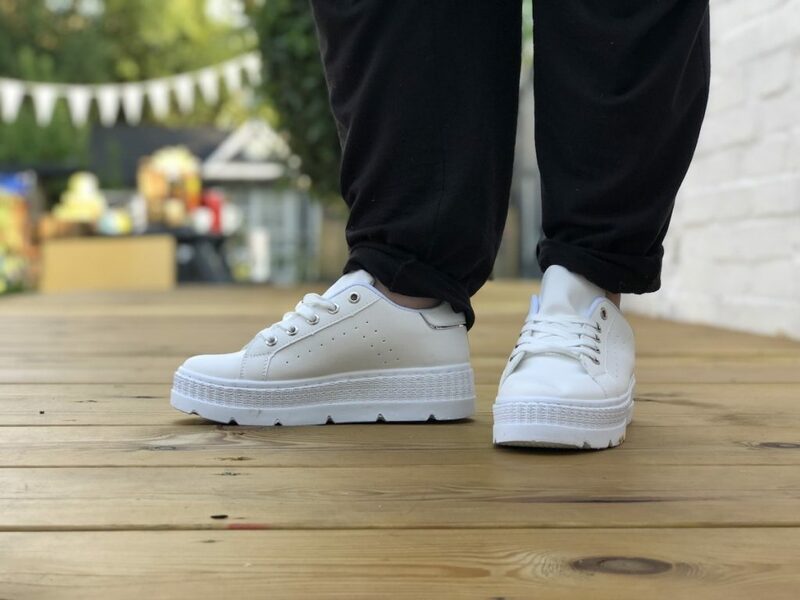 So I had a good old nose on their website and picked out some nifty White Platform Tab Sneakers. And you know what? When they arrived – and even before I’d put them on – I loved ‘em. They’re white and will go with any outfit. I just know I’m going to be getting a load of wear out of these bad boys. Finally, September is birthday month for three of our household members – VIP, Girlwrighter and one of our older bunnies, Bo – who happens to have exactly the same birth date as Girlwrighter. VIP and I don’t normally go crazy for each other’s birthdays unless it’s a milestone birthday, so all he’ll be getting this year is a nose and hair trimmer and an Elderberry plant that he’s wanted for a while. As for Girlwrighter – what to get for an 11-year old? Requests have ranged from fake Gucci trainers and hard cash to electric toothbrushes and speed cubes. I won’t spoil the surprise as the birthday hasn’t actually happened just yet, but suffice to say that I did find a very unique way of decorating the birthday cake this year. 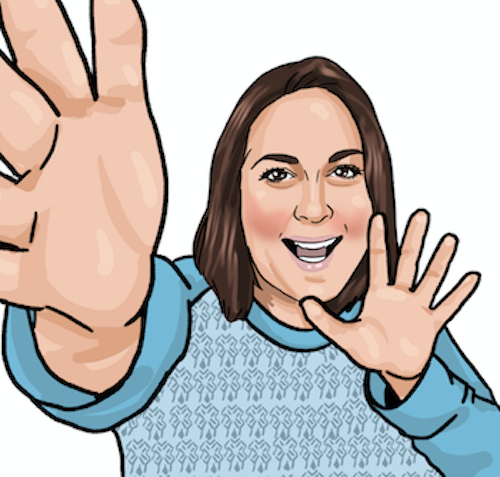 Rather than splashing the cash in the supermarket on a cake that are seen on hundreds of tables, I decided to get something that I know she’d love – a personalised cake topper from Amazon – check out the one I bought here. I can’t wait to see her face when she comes to blow out those 11 candles. Oh, and as for bunny Bo – that’s easy. A carrot, apple branch and lots of attention should do the trick. If only kids were as easy to please! A Pin For Your Ideas Board! Love the trainers, so trendy! They’re great – mine need a good clean now as I’ve worn them practically every day! Sand repellent towels sound really intriguing! I need to try them out next time I go to the beach. I hate taking half of it back home with me! And sand gets EVERYWHERE doesn’t it?! The trainers look cool – it’s always a good decision to look after ourselves. What are those speed cubes though? The speed cubes are Rubik’s cubes but are used by professionals when solving Rubik’s cubes – apparently they move much more freely than normal Rubik’s cubes. I didn’t even know they existed until my daughter mentioned them! My mum popped over yesterday and said they were cute too – just lucky I got them to fit! 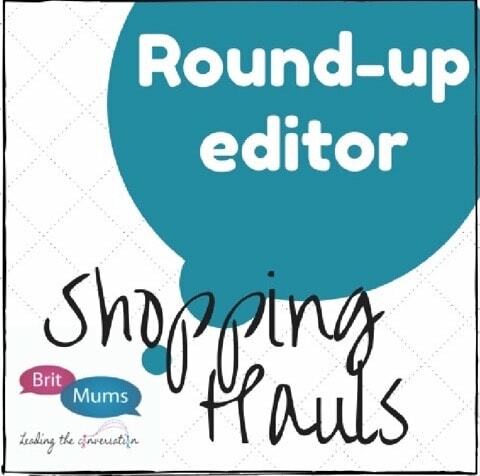 It’s a great shop – I often pop in for stationery – and pic n mix sweets – they do the best!